Your online reputation says a lot about your law firm. Positive reviews help provide feedback and build trust with potential new clients. Encourage your clients to submit reviews while they are in the office. Having an abundance of positive reviews can help shield your firm from the occasional negative review, and help with search visibility. Track: Keep up with online sources that are collecting reviews about your business. Monitor: Be notified when you receive a new review. Respond: Promptly manage and respond to new reviews. 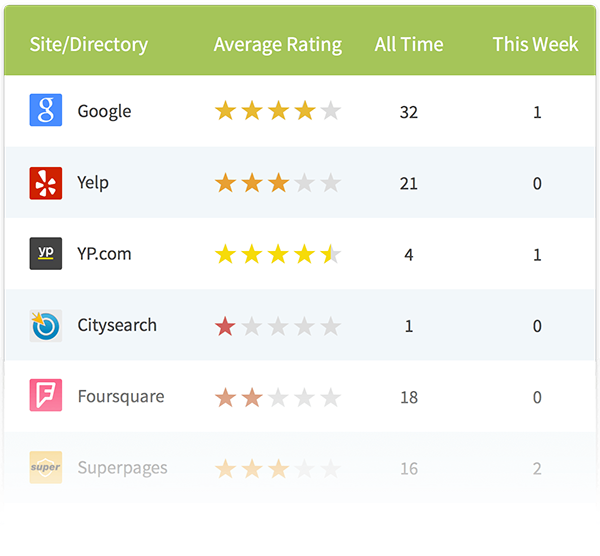 Track your reviews on the most popular review sites like Google, Yelp, CitySearch and more. 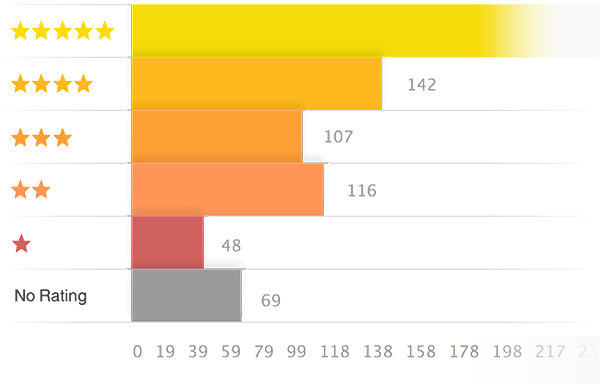 We report and score each review site independently so you can monitor and manage your reputation in real time. 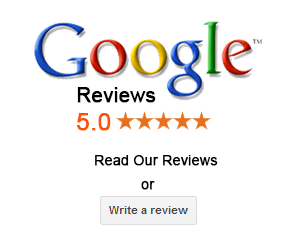 We monitor important review sites and identify positive and negative reviews. Receive an email alert when your business has a new review so you can quickly act. It’s best to always thank your clients for their positive feedback, and respond or correct any negative issues.